Congratulations—you’re engaged! Amongst the venue tours, cake tastings, and deco planning, arranging transportation for your special day and the rest of your wedding events can easily become a mess. Luckily, Easy Charter Bus is NYC’s top charter bus rental company, specializing in arranging sleek buses for engagement parties, bachelor or bachelorette parties, bridal showers, and the big day. With a wide selection of buses, from 18-passenger minibuses to 56-passenger charter buses, we can easily find you a bus when you call us at 718-502-9983. 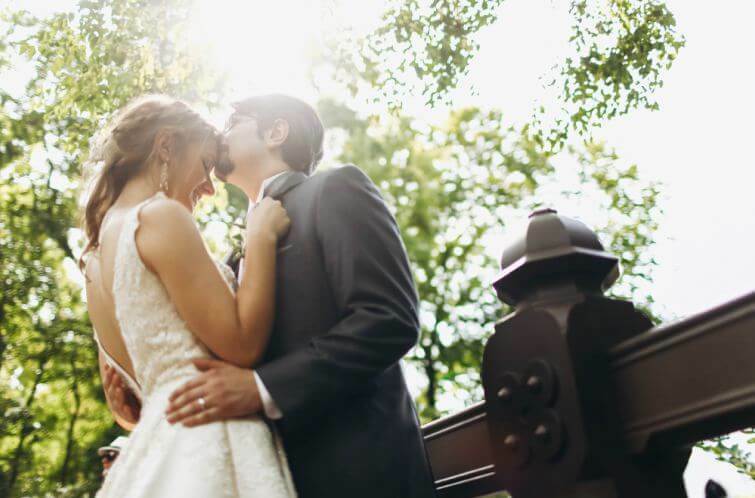 There’s a reason Easy Charter Bus is the top-rated charter bus rental company in New York City— we only work the city’s most professional drivers to ensure your wedding party and guests arrive safely and on time to your venue. We can handle all the transportation logistics and arrange a variety of buses to transport your entire group to Tribeca Rooftop with ease. When your event is over, your guests can arrive back at their hotel safely after a night of drinking and celebrating. With limited parking, hectic traffic, and confusing one-way roads, it’s easy for guests to get frustrated when arriving to your wedding. Put your guests’ minds to ease and ensure everyone arrives on time with a private motorcoach rental. Planning the last fling before the ring? Focus on the night’s events without a worry of transportation. Easy Charter Bus will handle it all for you and find you a bus rental fit to your specific needs. Sit back and relax in your bus rental’s plush, reclining seats; impress guests with a modern, sleek bus equipped with WiFi, power outlets, TVs, a radio, and more-- whatever your special requests may be, Easy Charter Bus will work hard to ensure your ride is everything you dreamed of. Enjoy music, drinks, and party games while we handle the rest. Let Easy Charter Bus be the easiest part of your wedding planning. Our expertise and 24/7 customer support is at your full disposal because we want to make sure your wedding day is special. Get started by calling us any time at 718-502-9983.